Property technology, colloquially known as proptech, is a collective term used to define startup companies offering technologically innovative products or new business models for the real estate industry. And there are likely a lot more of these firms than you think. 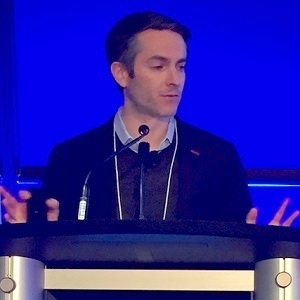 “There are probably dozens of companies that you haven’t even heard of yet that are competing to get out of the basement and into your boardroom,” said MetaProp NYC partner Zak Schwarzman, who spoke at a breakfast event presented by his company and Real Property Association of Canada at Toronto Region Board of Trade’s East Lennox Hall on April 4. Proptech applications can be found throughout the full real estate value chain, including: analysis and financing; space identification and leasing; site selection and negotiation; diligence; development and construction; process automation; space usage and management; and payments and services. After attracting approximately $500 million in venture capital funding worldwide in 2013, Schwarzman said it’s estimated that figure eclipsed $12 billion last year. Four proptech companies reached the $1-billion valuation mark in 2016: Compass, a network of real estate brokers; Homelink, a Chinese real estate portal; SMS Assist, a multi-site property management tool; and Opendoor, an algorithm for buying and selling homes online. While they’ve continued to grow, several other proptech companies have also since surpassed that valuation milestone. “The biggest pocketbooks in the world are putting money into this sector in a big way,” said Schwarzman, who acknowledged the real estate industry’s attitude toward new technology has become more favourable over the past two years. An increased share of dollars is now going to later-stage proptech companies, as opposed to early-stage startups a few years ago. More mature firms are now getting to the point where their technology can be deployed across different portfolios and geographical regions. While proptech was initially concentrated in California’s Silicon Valley and New York City, it’s now emerging around the world. MetaProp NYC, which Schwarzman said acts as the outsourced corporate development arm for Cushman & Wakefield around the world, focuses on early-stage startups creating “tomorrow’s technology.” It tracks more than 3,000 proptech companies globally and sifts through them to find the best, especially those involved in real estate niches where little or no technology is available. Schwarzman said MetaProp NYC runs accelerator programs, acts as an adviser and is the most active global investor in the proptech space, having invested in more than 80 companies. “You see a lot more talent flooding in, not just from the technology sector, and not just from repeat founders, but spinning out of large real estate organizations,” Schwarzman said of the proptech landscape. Schwarzman believes mergers and acquisition activity will increase in coming years. He said traditional real estate firms, brokerage houses and commercial services firms which believe they need to own new technology are now actively seeking opportunities. MetaProp NYC’s active proptech interest areas include: architecture, engineering and construction efficiency; on-site energy; insurance; and access control. PropTech trends MetaProp NYC is watching include: increasing space use efficiency; multi-family and office amenitization; blurring of asset types, including introducing hospitality concepts into office spaces; building wellness; and climate. Schwarzman provided a case study of a successful proptech startup called Spacious, which monetizes dormant daytime restaurant spaces by turning them into a network of managed co-working locations. Its capital expenditures are 30 times lower than co-working darling WeWork, and it has enjoyed exponential membership growth over the past 12 months in New York City. Spacious’ investors and partners include Redpoint Ventures, LHV, TAO Group and AvroKO Hospitality Group.